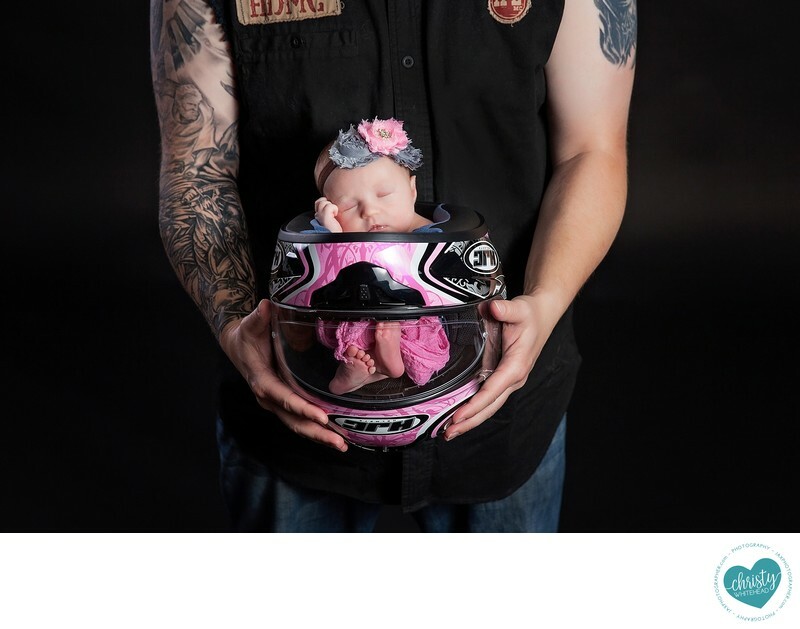 Newborn in momma's motorcycle helmet - Newborn Photography | Schedule Your Newborn Shoot Today! Parents are bikers and pharmacists. This was mom's helmet in dad's arms. By 6 months she was sooo chunky and couldn't get her booty in the helmet.